Download Microsoft Office 2016 and Office 365 latest version IMG files on this page. We will share the direct download links to these apps which includes the Office suites as well as single apps like Microsoft Word, Excel, PowerPoint, Visio, Project etc. If you have already purchased your Microsoft Office 2016 or Office 365 subscriptions and you want to download Office 2016 or Office 365 ISO/IMG files for installation, you’re on the right page. 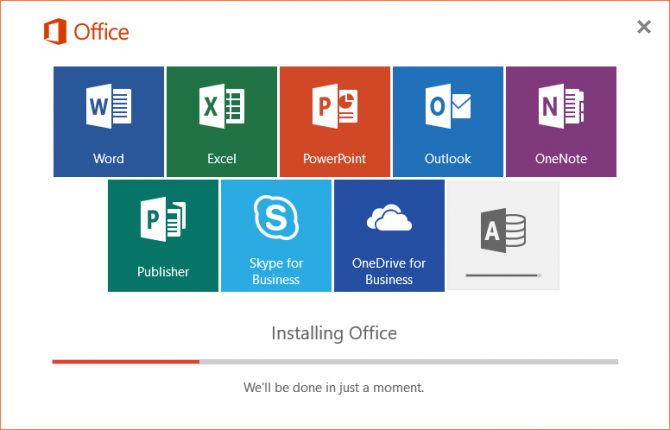 We are listing down the direct download links to Office 2016 and Office 365 products. These downloads come directly from Microsoft servers so there is no need to worry about viruses and all. If you want to install Office with multiple languages, you may download Office 2016 language packs separately. These download links can be especially useful if you want to download the Office software once and then install it multiple times. Office 365 offers you subscription plans that include access to all of Office apps and other productivity services that are enabled on the Internet. It provides you solutions for both home and business use. Office 365 plans also include a desktop version of Office apps, which users can install on multiple computers and devices. With Office 365, you always have the latest versions of Office apps as soon as they are available, and you do not need to buy new versions. For business, Office 365 has Skype for Business web conferencing and Exchange Online hosted email for business and more online storage with OneDrive for Business. These links are official links for ISO Image files of Office 2016 provided by Microsoft. All downloads are of 4.14 GB in size. These links are official links for ISO Image files of Office 365 provided by Microsoft. Choose your Office suite now, and download the ISO/IMG Image file of it from above links, and enjoy offline installation. Create your projects and files with MS Office products by having some more creativity and optimization. If we have missed any product or the links are not working, please let us know through comments and we’ll try to fix the issue as soon as possible. I wouldn’t bother downloading any of these, if you’re planning on activating – on-click will re-download the online installer. because these .iso’s are not supported. If you want to the offline .iso you need to use the office deployment tool. please give product key for Microsoft Office 365 Professional Plus. when bandwidth is an expensive commodity, downloading the correct office 365 home installer for all your 5 computers is highly desired.